There are essential tax rules that covered expatriates and their advisors need to know to stay in compliance before, during, and after an individual exits the U.S. The U.S. State Department estimates that nearly 6,000 U.S. citizens or long-term residents renounced their citizenship or relinquished their green cards in 2015. People expatriate for many reasons – to return to their home country, take up a new life in a new country, or give up dual citizenship after being born abroad and never living in the U.S.
Expatriates, while acclimating to their new homes and often a new culture, also need to tie up loose ends in the U.S. If they don’t follow the necessary formalities and pay all outstanding U.S. taxes when they leave the U.S., they may face tax consequences. There are two special tax provisions that apply to some individuals expatriating from the U.S.: the exit tax and the transfer tax. These tax provisions don’t apply to all former U.S. citizens and residents who leave the country. They apply only to people who fall within the definition of a covered expatriate (under §877A of the U.S. tax code). Only relatively wealthy expatriates would have a net worth of $2 million or annual net income tax of $161,000 over a five-year period. However, expatriating individuals may mistakenly assume that the special exit and transfer taxes apply only to wealthy people. 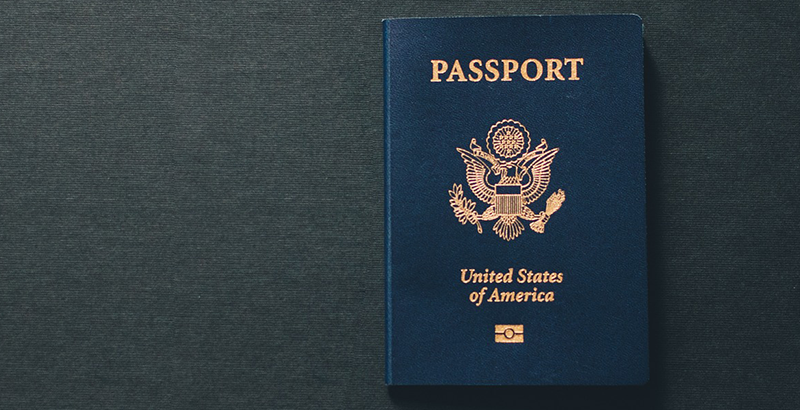 Tax Court records show that expatriating individuals sometimes fail to file Form 8854 to certify their compliance with U.S. tax law when they renounce their U.S. citizenship or relinquish their green card. These individuals automatically become covered expatriates because they didn’t file this form. Even if these taxpayers file the form, they still have to actually be in compliance for prior years. If they didn’t file taxes or understated their income, for example, these individuals would automatically become covered expatriates unless they get in compliance before formally expatriating the U.S. Individuals in this situation may discover that noncompliance can be costly. Here, we’ll examine the “tax timeline” for covered expatriates – U.S. tax issues that can arise before they leave the U.S. and well after they resettle abroad. Expatriates pay taxes as U.S. residents for the part of the year they were citizens or green card holders. As U.S. residents, they must report any income they earned or received from abroad during that same part of the year. In 2008, Congress signed the Heroes Earnings Assistance and Relief Tax (HEART) Act into law, adding the new §877A (the “exit tax”) to the tax code. Under the exit tax, a covered expatriate’s property is treated as being sold for fair market value on the day before the expatriation date. For 2016, the individual would owe a 40 percent tax on any built-in gains above the $693,000 exemption. Under Notice 2009-85, the exclusion amount is allocated among all built-in gain property that is subject to the mark-to-market regime, pro rata, based on the amount of gain for each built-in gain asset. For example, if a covered expatriate owns stocks with a combined value of $2.5 million and a basis of $1.5 million, the mark-to-market rules will treat the stocks as if they were sold on the day before the expatriation date. The deemed sale results in a gain of $1 million ($2.5 million minus $1.5 million). Before applying the exit tax, the $1 million gain is reduced by the exemption amount of $693,000, resulting in a taxable gain of $307,000. The individual then owes a 40 percent exit tax of $122,800 (40 percent multiplied by $307,000). As the example demonstrates, the exit tax can be steep even after the exemption. Expatriation not only results in potential taxes to the expatriate, but it can also result in taxes and reporting requirements for the individual’s U.S. relatives and friends. When a covered expatriate’s family or friends remain in the U.S., the expatriate may transfer assets to them by gift or bequest. In that case, the recipient will owe tax on any amounts over the annual gift exclusion ($14,000 in 2016). The tax rate will be the highest estate tax rate in effect on the date the U.S. recipient receives the covered gift or bequest (40 percent in 2016). This is the opposite of the gift tax, where the individual making the gift is subject to the tax and not the recipient. The transfer tax applies to the expatriate’s transfers to U.S. citizens or residents after (or immediately before) the expatriation date. It applies to transfers of wealth that would be subject to U.S. taxation if the transferor was a U.S. citizen or resident. Similar to U.S. gift tax provisions, lawmakers enacted the transfer tax to counteract the effectiveness of transferring wealth after expatriation to avoid the exit tax, gift tax, and estate tax. For example, a covered expatriate who renounced U.S. citizenship in 2012 is contemplating a transfer of wealth to his U.S. citizen children as a part of his estate plan. He plans to transfer $14,000 to each child per year until his death and then transfer the remaining assets as a bequest when he dies. The annual gifts will not be subject to the transfer tax because they don’t exceed the annual gift exemption amount of $14,000 in 2016. However, when his estate transfers the remaining assets upon his death, any amounts above the $14,000 exemption for any individual recipient will be subject to the transfer tax. In addition to potentially owing the transfer tax, U.S. citizens or residents who receive foreign gifts or bequests of more than $100,000 must report the gift or bequest on Form 3520, Annual Return To Report Transactions With Foreign Trusts and Receipt of Certain Foreign Gifts. If the recipient doesn’t file Form 3520 on time or if the form is incomplete or inaccurate, the IRS can issue a penalty of 5 percent per month (up to 25 percent of the transfer’s value). If funds are transferred into a foreign financial account under the control of a U.S. citizen or resident, and the value of that foreign account exceeds $10,000 at any time during the calendar year, the account owner must report the account on FinCEN Form 114, Report of Foreign Bank and Financial Accounts. If the recipient doesn’t properly file FinCEN Form 114, he or she may be assessed a penalty of up to $10,000. When a covered expatriate dies, his or her estate will need to file a Form 706NA, United States Estate (and Generation-Skipping Transfer) Tax Return, and pay the estate tax liability on any assets in the U.S. The unified gift and estate tax exemption does not apply to a covered expatriate’s estate. However, there’s a silver lining for covered expatriates when it comes to estates. For U.S. estate tax purposes, these expatriates are treated like nonresidents who never had U.S. citizenship or residency status. As a result, their foreign assets are excluded from their gross estate. In contrast, expatriates who don’t meet the definition of a covered expatriate are treated like U.S. residents for estate tax purposes. They must include all assets in their estates, wherever the assets are located. Accountants and tax professionals who have clients who are considering renouncing U.S. citizenship or relinquishing a U.S. green card should remember the potential tax consequences of fund transfers to family and friends who remain in the U.S., and follow the formalities required before, during, and after their exit from the U.S. Doing so will help ensure compliance at home and abroad. 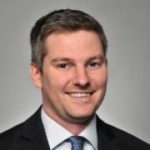 Nathan Rigney, JD, is a senior tax research analyst at The Tax Institute. Nathan specializes in state income tax trends and the taxation of real estate transactions and debt cancellation.